Arctic Monkeys - Tranquility Base Hotel & Casino. Vinyl LP. Bleep. 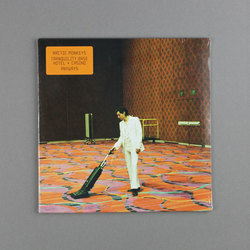 Hot on the heels of the four-piece’s UK tour in support of their game-changing 2018 LP Tranquility Base Hotel & Casino, Arctic Monkeys release the LP’s title track on 7” alongside a brand new track, ‘Anyways’. A band above and beyond the heights of their powers, Arctic Monkeys continue to flirt with the charts, all while inviting awe from critics and fans alike, even when they refuse to box themselves into a single style.